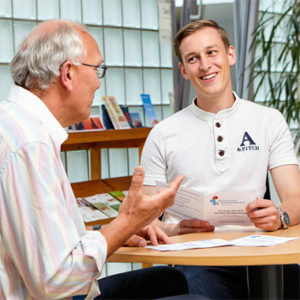 Pedagogical student support is a conceptional and personal service offered by Bischöflichen Studierendenwerks Münster specifically to the students at our residences. It allows students to live together with other young students in a very distinctive, versatile and valuable environment. The diversity of mandatory communal living allows students to experience specific aspects of life through encountering different people and trying different activities.